It’s been at least 20 years since I’ve had a fast food burger. Yesterday was another brutal day as we try to deliver our 3rd concurrent project in the same two-month period. I had a meeting at the Forest & Stream Club and had to immediately drive the four hours to Ottawa and back for two more meetings. No time for lunch, but I was really hungry and running low on energy. I was pleased that since there weren’t too many people in the store, they were making the burgers to order rather than just stacking them up in advance. 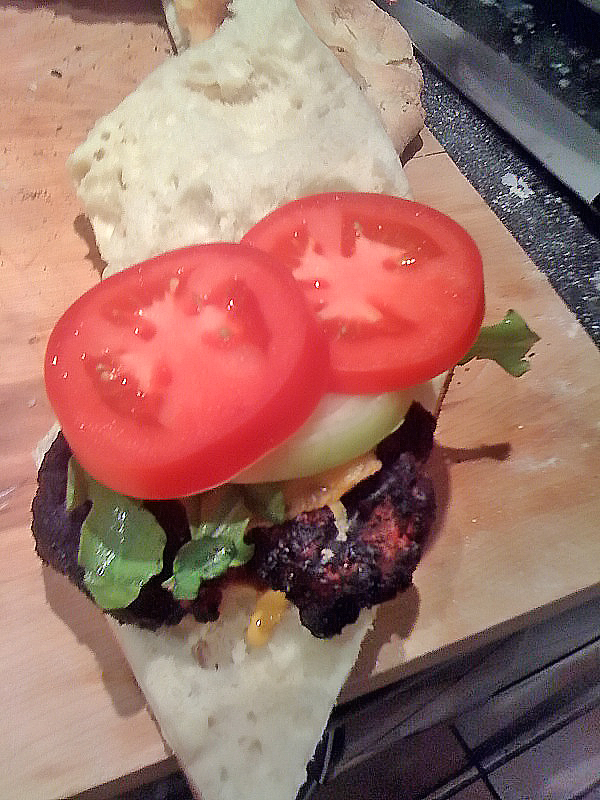 So, my freshly-made Veggie Burger arrived in about 2 minutes. Needles to say it looked nothing like the above. It was small, soggy, thin, and kind of squished; I had to peel back the top of the bun to make sure that there was actually lettuce, tomato, and pickle in there. The tomato and pickle consisted of one micro-thin slices each, and the lettuce an afterthought; although they seemed to have been quite generous with the mayo (which BTW, doesn’t even appear in the picture). All in all it tasted OK and did stop the rumbling in my stomach with a minimum of guilt (the BK nutrition guide lists this burger at 310 calories and 7 grams of fat – hard to believe with so much mayo). But the discrepancy between the promoted image and the reality is quite striking; a classic definition of stress being when expectation and reality diverge. The dining area was about half-full of hapless looking people drearily dipping their plastic forks into plastic tubs of poutine (french fries with gravy and cheese curds). This seemed to be the sustenance of choice in that particular outlet on that day. Overall, I still don’t get the appeal. It’s fast, it’s cheap, but overall not very good: As the old adage goes, “For very little you get next to nothing, which is fair”. 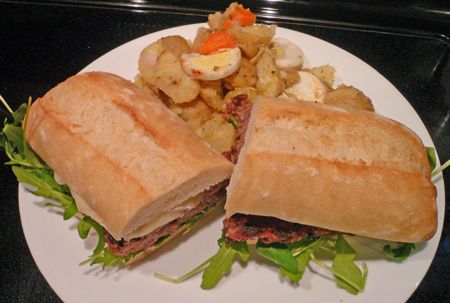 I love sandwiches, and if I do say so myself, make some pretty good combinations. Take today for example. My son came home for lunch looking for something to eat. I offered a sandwich: A fresh Hallah role with olive oil mayonnaise, two slices of prosciutto, Swiss cheese, fresh avocado, and tomato. For myself I made: A fresh Hallah roll with artisanal ash-covered goat cheese, and rapini sauteed in fresh young garlic and olive oil. Delicious. One thing both these sandwiches had in common was an outstanding balance between the consistency of the bread and the contents. I’ve found this factor to be the key “secret” to making great sandwiches. 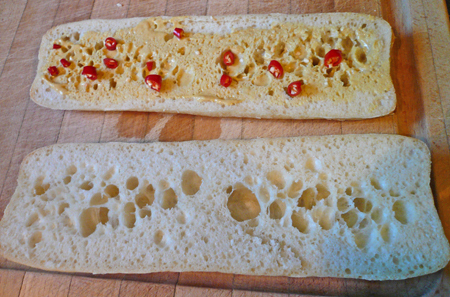 For example, if you take a crusty, chewy baguette, and fill it with something very soft, say egg salad or grilled vegetables, you will notice that the jaw pressure needed to bite through the bread is too much for the soft filling, which will inevitable be squished out the sides. Similarly, if you take a soft Hallah roll and fill it with steak, the hand and jaw pressure needed to get through the meat will make the bread a soggy mess. Not to mention the fact that juicy condiments tend to turn a soft roll into slush. 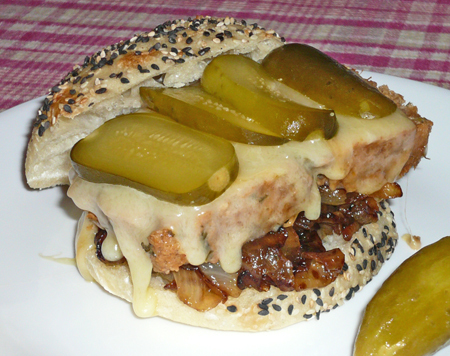 Most successful sandwiches will have a nice balance between the two textures of bun and filling. Take the iconic hot-dog or hamburger for example. In both cases, the bun is just soft enough to get through without needing much additional jaw pressure to pierce the meat. 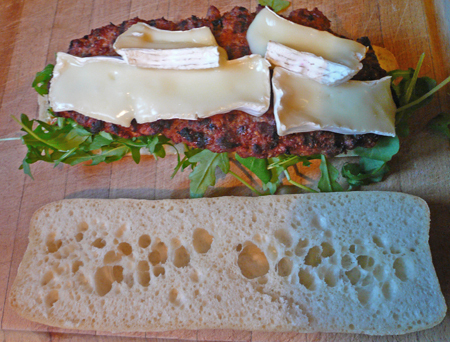 French baguette and Brie….wonderful. Sliced white bread and cheddar in a grilled-cheese…beautiful. 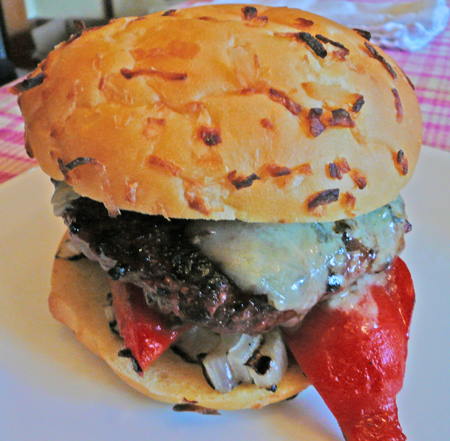 An onion roll and grilled vegetables…superb. Think about this next time you make a sandwich. 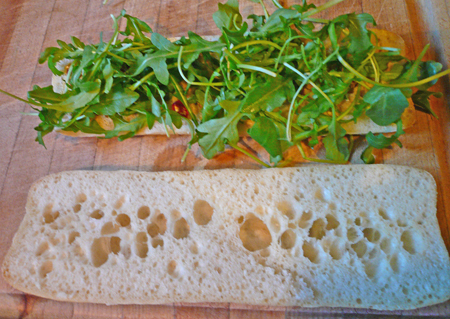 Try to balance the texture of the bread with the demands of the filling…it will make a much more satisfying sandwich. Now this guy knows his burgers! From the Huffington Post, a massive analysis of the different types of hamburgers. I’m not sure about this guy’s credentials though…he doesn’t look nearly fat enough to have done the amount of research needed for such an extensive listing. Courtesy of archaeologist daughter. 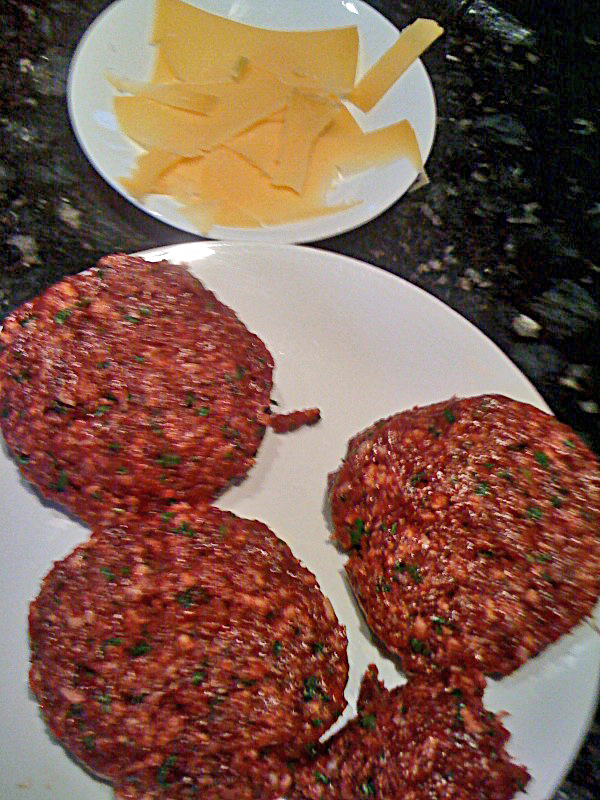 This is what happens when a “real” Italian (Mr. Italo was hatched in Rome) tries to make a burger. This beauty includes olive-oil Foccaccia homemade on the BBQ, freshly ground horsemeat with chopped raw bacon added for extra “moisture”, topped with 8-year old Gouda, onions, arugula, red peppers and tomatoes. What kind of burger would a dyed-in-the-wool Frenchman make if he were so inclined? Certainly not something that even remotely resembled the dreaded “McDo”. I present to you my imagined rendition of this delight. Living as I do in the second largest French-speaking city in the world outside of Paris, I feel a certain entitlement to such creative license. 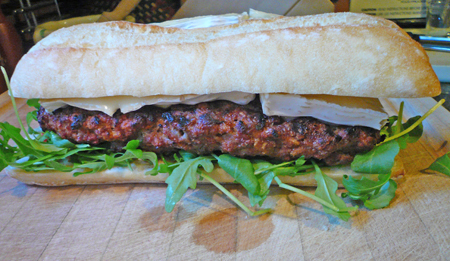 What is meatloaf if not a giant burger, baked in a form and then sliced? Going with that premise, I have tonight’s creation, The Working Stiff, in honor of all those people for whom meatloaf is the quintessential working-man’s food. 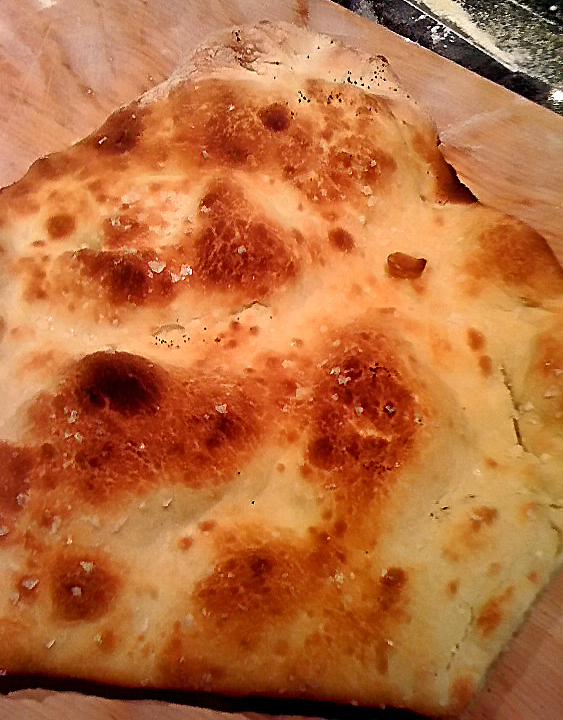 I started with a fresh Arhoma French-style, white seed-roll. On the bottom: Vidalia onions caramelized in olive oil and a spritz of Mesquite natural liquid smoke. Then the meat loaf: A thick slice of my wife’s famous recipe, made with organic free-range, grass-fed beef. On top of the meat loaf : A few thick slabs of Balderson naturally double-smoked Canadian cheddar melted at the same time as the meat-loaf slice is heated up in the microwave. And finally, a few thin slices of Kosher dill pickle. I’m not sure who said “Nothing tastes as good as thin feels”, but he/she never had a good Working Stiff. Or as the bodybuilding gym commercial says, “A hard man is good to find”. For your consideration, tonight’s dinner. In this case, the silence of the lambs signals one incredibly tasty burger. Two lamb sirloins, coarsely chopped in the Cuisinart, then drizzled with a little olive oil to make up for the near-total lack of fat in the meat, and seasoned with smoked dried garlic, Greek oregano, cumin, salt and pepper. Handled as little as possible, just enough to shape a large ball before tossing it into the Patty Stacker for final squishing. On the bottom of the Jewish onion roll, some blanched rapini and a few snips of very hot Thai chilis. Topping the burger: A slab of Limburger cheese that could melt the socks off a basketball team, and a thick slice of olive-oiled red onion grilled in the BBQ till slightly charred. If Dr. Lecter had had access to this burger, he might never had had a craving for liver with some fava beans and a little Chianti. Oh, Clarise! 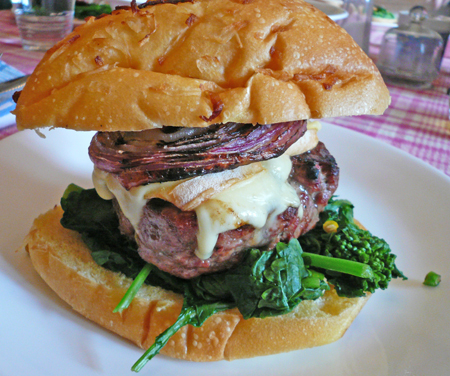 Mr. Italo has submitted this seemingly innocent looking burger for your consideration. I say “seemingly innocent” because it packs quite a wallop of blue cheese surgically embedded into its core by Mrs. Italo’s skillful use of the Patty Stacker. She took a chunk of blue cheese and them wrapped the burger meat around it into a ball, finally and carefully squashing it in the Patty Stacker…yes the same Patty Stacker of 1960’s yore. 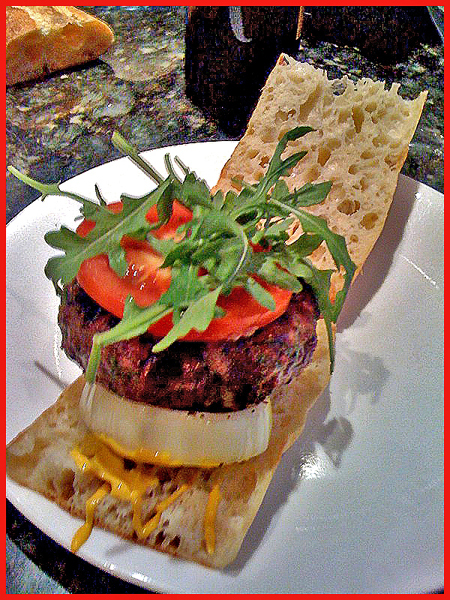 Perched on yellow mustard and a grilled onion slice, topped with tomato and arugula and served on a fresh ciabatta roll. I’ve created a new category in the “cloud” at the right….Burgers. 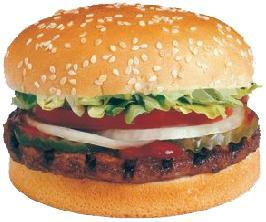 You’ll be able to find any burger-related entries by clicking on it. It reflects my decision to give this topic special attention over the coming months as I explore what is arguably North America’s signature food.